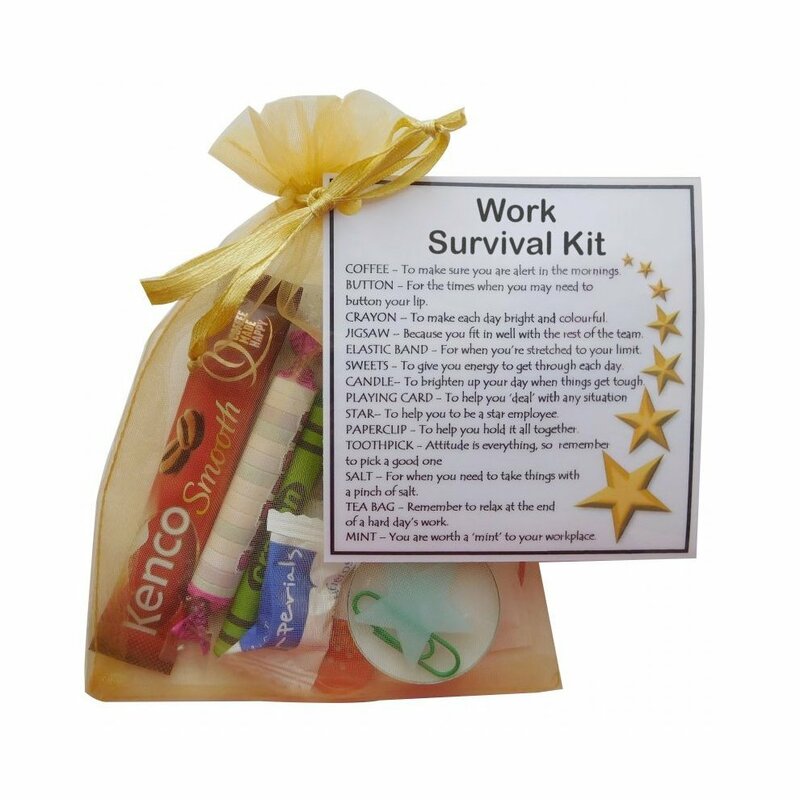 Skip the cliches and opt for a more unique gift with this Work Survival Kit Gift, packed with tiny treats to let a friend know just how treasured they are. 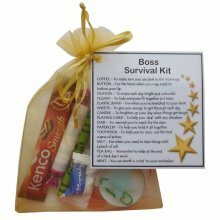 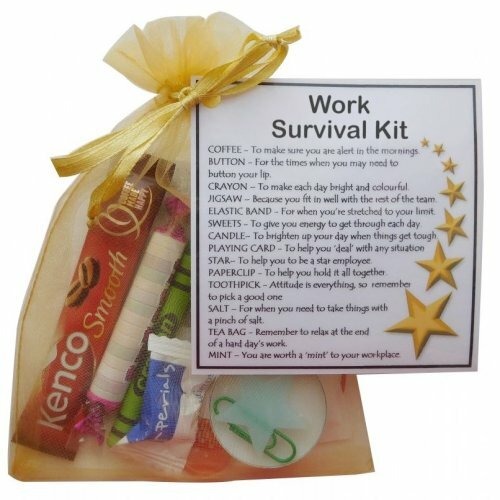 The perfect novelty gift idea to celebrate a friend getting a new job, or even as a way to welcome a new employee to your business, the kit is guaranteed to make them smile. 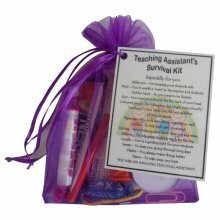 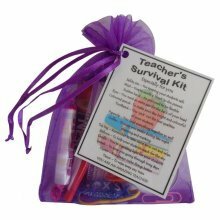 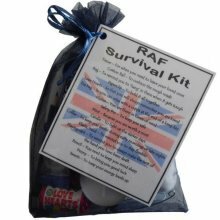 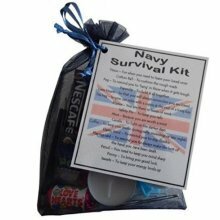 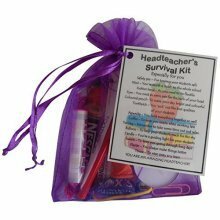 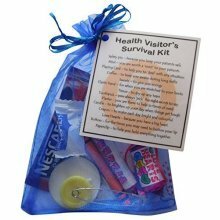 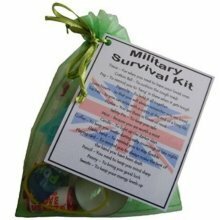 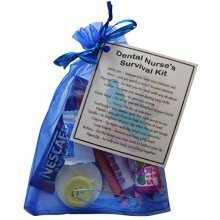 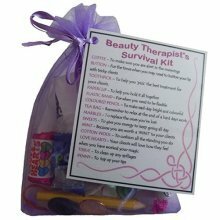 Presented in a gorgeous organza bag that's perfect as a keepsake, the kit includes a laminated label to highlight the significance of each item included. We think it'd be a great option for the annual office Secret Santa too! 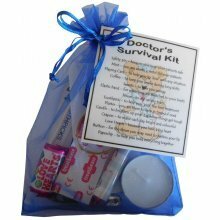 Dimensions: 13 x 18cm (sizes can vary slightly). Please note: Items may differ slightly from those pictured. 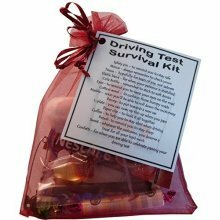 The gift itself is OK for what I wanted, but not exactly what I was expecting. 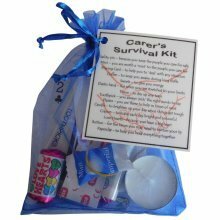 The actual purchasing of the product and delivery time were excellent though.